Already listed with our graphic designer directory? Every business needs to get noticed by the quality digest media kit. Advertise your business to the customer target group. Professional Phuket graphic design creates a new opportunity to make benefits to your business in Phuket. 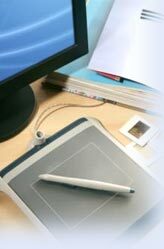 See our graphic design company in Phuket to make your business is easy. GuideVision is results-driven. We focus on meeting or exceeding your company's online marketing objectives. Kookkai Printing operates several full-service copy centers, providing low-cost services to meet client needs for reports, course materials, flyers, and presentations. Patong Offset Press is a full-service, in-house printing facility. Digital Publishing & Printing Services is the largest offset printing operation within Phuket. Quicconsult International provides linguistic and transcription as well as design services to local and worldwide businesses. World offset, the leader of printing industry in Phuket with over 20 years of experience. We offer only quality for all customers by professional teamwork.